What if Pluto was truly the last object out there? Like if it was the only thing out beyond neptune along with it's moons. Ok, here's a tough one that I'm dying to know the answer to; What would it be like to have causation without correlation. At first glance it seems impossible, but there could be something. It already exists, we only know about the correlation because we know the cause. For example, for a while, nobody knew what tides were caused by. Eventually we learned about gravity and tidal forces, and then the correlation between the Moon and the tides made sense. For existing stuff, think of gravity (why it happens, we have a poor understanding), why life forms, etc. I remember the old forum! I tried to convert coordinate cartesian (AbsPosition in hexadecimal) polar coordinate without success (I test with Proxima), I do not get the same angles and I understand my fault, I took that equator and I had not the ecliptic and a point vernal but how define it the point and the ecliptic ? Otherwise, There is not a method, algorithm to convert ? I think yes because Space Engine know where to place the stars correctly, ah less than it does not need conversion. Maybe SpaceEngineer has given an answer. If the algorithm exists, it would be good to implement it in Space Engine to have the most precision possible to place its system stack at the center of a galaxy for example. PS : I see Equatorial coordinate system. What if Theia hit Venus instead of Earth? As far as I know, a similar sized object did strike Venus, but at a steep angle. The impact slowed it's rotation, acting as a brake, effectively "killing" the planet. What if it didn't hit and became captured? Any approach between the two worlds would result in a collision at high velocities, radical orbit migration or an elliptical binary orbit. Let's look at what can happen in all three scenarios. Assuming the two worlds collided, depending on the exact angle and speed of impact, the event could end with the two bodies being a) pulverized, leaving only small bodies, b) destroyed, leaving one or two large bodies and a belt of small-to-medium asteroids or dwarf planets, c) coalesced, leaving behind a single, pretty massive body and possibly a large moon with up to 4% of the host planet's mass (this also accounts for when a newly formed moon of varying mass spirals into the planet). This collision would happen at pretty high velocities due to the mass of both worlds and their mutual separation. If we assume the worlds miss each other completely, an orbital migration is pretty likely from their starting position. Assuming the two bodies come very close to each other, their mutual gravitational attraction would fling them in opposite directions and greatly alter their inclination, ellipticity and semimajor axis. The least likely scenario is that you'll end up with a system of two distinct tidally locked planets orbiting a central barycenter. This system would be easy to disrupt, and the bodies would most likely be in elliptical orbits with relation to the barycenter. Due to the masses involved, and the proximity to the Sun, this is the least likely option. In the off chance it DID become captured, it would cause large tides and would lock Venus into a short tidal rotational period (since a long period would increase the chance the bodies would separate again due to outside influences). Depending on the exact formation of this system, the two bodies could slowly approach one another until they collide, again resulting in one of the above. Those are some off-the-bat estimates and I'm not exactly an expert, but that's how I can see it going, at least roughly. Very good estimations! I am thinking that the object would hit at an angle and allow a moon to form. Capturing a body that large is probably very unlikely. What is the critical breakup velocity of a white dwarf star? When the centrifical force equals the gravitational force I imagine any Star would fling itself apart. (Ignoring radiation pressure and non-uniformity of luminosity). The fastest known rotational velocity of a star is 2 million km/h, it is named VFTS 102. Here are some screenshots of a binary white dwarf and companion star. The white dwarf orbits the other in under 24hrs. Apparently what I see is a flattened star and not an accretion disk. Usually stars with such high rotation rates are Runaways from a binary system where one went supernova. I don't know how to figure out this Stars rotational velocity. I don't really think this is possible. Well, it depends on the white dwarf you're looking at; the more massive white dwarfs obviously take more energy, but it is completely possible for a white dwarf to break up. What is impossible is for massive neutron stars and pulsars to breakup. Because they're so dense, the surface of the star would have to be traveling at speeds faster than light. I think for a white dwarf, we don't have enough information about them, but it might be up there at speeds of around a tenth the speed of light. Only in a non-accelerating or inertial reference frame. Plus gravity is not a fundamental interaction mediated by a quantum field theory and a gauge particle, it is an entropic force. Because local inertial frames are determined by the large scale distribution of matter. The overall distribution of matter determines the metric tensor, which tells you which frame is rotationally stationary. Frame-dragging and conservation of gravitational angular momentum makes this true. Oh, and am I actually seeing a flattened White Dwarf in the screen shots? Or is it an accretion disk made from cannibalizing the host star? 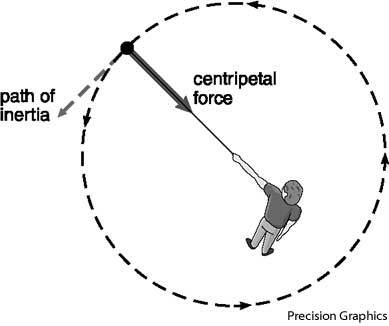 Because your velocity constantly curves around a focus, it creates an illusion that that object is being pulled.